Freedom to schedule your own time, focus on the interesting, linger where you want. Your own kitchen & living room, perfect for early bedtimes & picky eaters. Personal support and help from helpful local hosts. One-stop shopping for all your arrangements, and the help of planning experts. Now is the time to plan your family vacation! Kids Stay Cheap: only $200/week! Switzerland: Swim in pristine lakes. Hike & bike mountain trails. German Rhine: Explore fairytale villages. Ride the trains and river boats. The Swiss Travel System opens all of Switzerland to you and your family! Explore the rest of Europe. 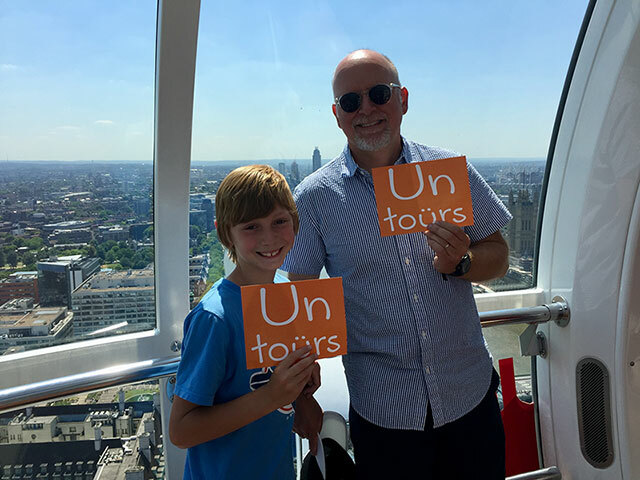 Kids under 16 enjoy a $200/week discount on the regular Untour fee in other destinations. * All family pricing on Kids Stay Free and Kids Stay Cheap is based on the number of adults in the group. Deals require two paying adults per apartment. Airfare not included. Not all apartments qualify. Extra fees like car seat rental may apply. Kids must be under 16 at time of travel (under 12 for the German Rhine). Kids deals are not combinable with other discounts. Other restrictions apply. Share an educational experience of a lifetime with your family.